Even though I haven't been posting I've been reading! 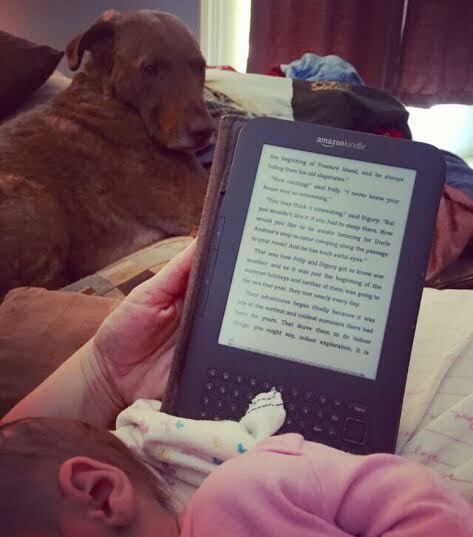 Finding time to read with a newborn at home is tricky, but it's possible. Audiobooks have definitely helped! I can also sometimes read on my lunch break or when my peanut is nursing. This year I've reread some old favorites and tried out a few new series. I read The Lunar Chronicles and the Raven Cycle and while both are fun reads, I didn't love either. The Nest, Americanah, and My Brilliant Friend all fall into the average category for me as well. Below I list the ones that really blew my socks off over the past six months. What have you all been reading that you loved? Relish: This graphic novel is Lucy Knisley's love letter to food and cooking. I love the artwork and her style of sweet reminiscing. The View from the Cheap Seats: A collection of nonfiction essays, introductions, etc. from one of my favorite authors. This did not disappoint! I love the way Gaiman thinks and reading his work is always a treat. The Tenant of Wildfell Hall: A Bronte novel that's an odd mix between her sisters' Jane Eyre and Wuthering Heights. It's dark and wonderful! Alexander Hamilton: Sometimes a real story is so much better than fiction! When Breath Becomes Air: One of the most visceral and honest meditations on death that I've ever read. The author, a doctor in his 30s, receives a terminal diagnosis and wrote a heartbreaking book on his reflections before the end of his life. Kitchens of the Great Midwest: One woman's journey from infancy to becoming a famous chef is told in a unique way. We see her story through the eyes of the people she meets, a teenage crush, a parent, etc. The descriptions of food are mouthwatering! Nobody's Fool / Everybody's Fool: Classic Richard Russo, a story set in a small town full of quiet people living desperate lives. He somehow infuses his work with humor even when the subject matter doesn't seem funny on the surface. 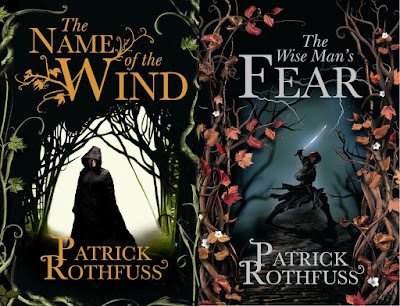 The Name of the Wind / The Wise Man's Fear: Oh my gosh I loved these books! They were so good they got their own post. I'm late to the party on this one. People have been telling me about these books for years and I never picked them up. When I finally did there was no turning back. I couldn't put The Name of the Wind down. As soon as I was done I devoured The Wise Man's Fear. If you're picking a genre the series falls into fantasy, but they are so much more focused on character story-telling than in fantastical elements. Rothfuss builds an incredibly detailed world that feels instantly familiar. The story follows a man named Kvothe. He is working as an innkeeper in a small town, but he used to be a powerful and dangerous man. The first two books (and one more forthcoming novel) tell the story of how his rise and fall. That summary doesn't do the books justice by half. These books are the first ones I've read in a long time that I couldn't stop thinking about. When I wasn't reading them I was wondering about the characters and what would happen next. I can't wait for the next book in the series and I know I'll need to reread these again soon!